February is finally here. I feel like January just flew by, and I’m OK with that, as the sooner we can get through the winter months, the better. I’m not much for cold and snow, but at least it gives me an excuse to stay indoors and do more gaming… not that I don’t do that in the summer too. 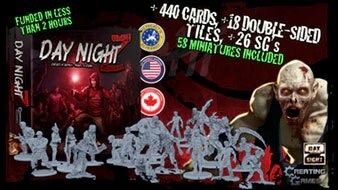 Oh well, on to the Kickstarters! 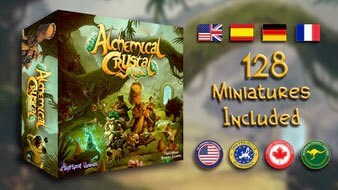 Alchemical Crystal Quest is a cooperative, narrative board game, with fantasy miniatures! 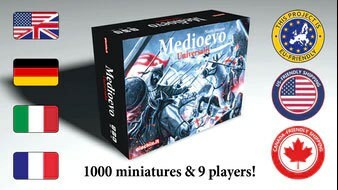 A cooperative, deck building, tower defense board game, for 1 to 4 players with 71 miniatures in every box. 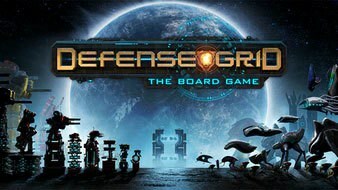 A survival horror board game with miniatures and a post-apocalyptic open world to explore. Hate the day, fear the night.